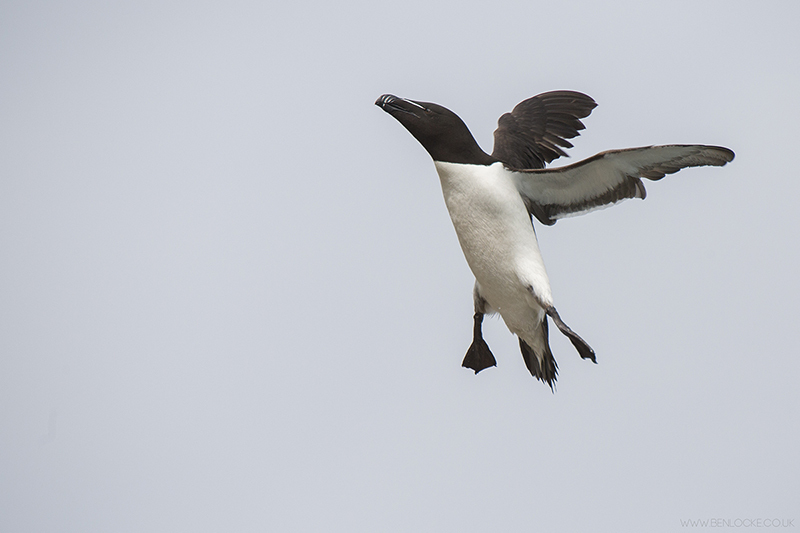 Razorbills are pursuit divers that propel themselves through the water with their wings. They are capable of diving to 120m depth, but mostly forage nearer the surface. They spend most of their lives at sea, only arriving ashore to reproduce. During the prelaying period, they never spend a night in the nest, and even after the egg is laid, only one parent remains in the nest. This species is not particularly vocal, but a deep creaking 'urrr' is produced by breeding individuals.